What is the penalty for driving with no insurance in Wyoming? What is the penalty for driving without insurance in Wyoming? Traveling on I-80 in Wyoming can be a memorable experience. Drivers can travel across both the Red Desert and the Continental Divide when sticking to I-80. Of course, there are other major highways, roads, and byways in Wyoming. With the beauty of Wyoming also comes risks associated with winter weather, other drivers, and potential environmental hazards. A good auto insurance policy definitely would be a smart investment for a Wyoming resident. Auto insurance covers against all manner of different losses depending on the coverage purchased. Liability insurance might be the most important coverage protection of all. If you cause an accident, you may be held liable for significant damages. You probably should purchase collision insurance that protects your own car against any personal fault. Keeping an insurance policy from lapsing must become a top priority of any driver in Wyoming. A lapsed policy becomes a canceled policy meaning no coverage or protections exist. Additionally, the law in Wyoming won’t be too pleased with someone driving without insurance. Wyoming law mandates drivers carry an auto insurance. 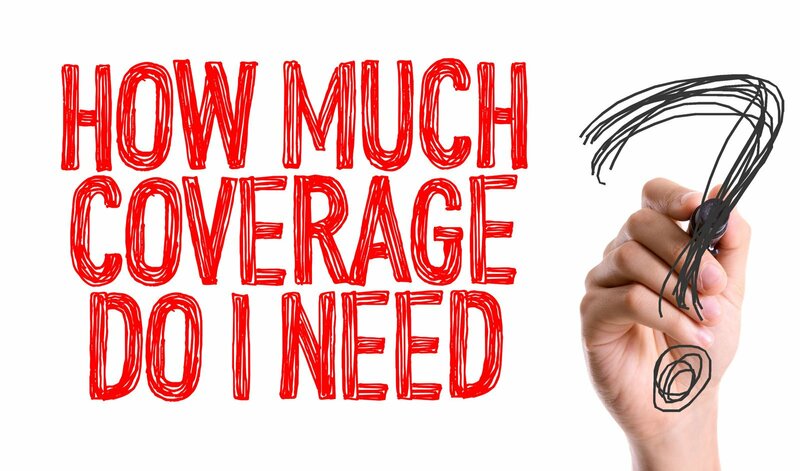 Find the insurance you need at the best rate. Enter your zip code into our free rate comparison tool above to start your search. What proof of insurance is accepted in Wyoming? Driving without insurance is not a mere traffic offense in Wyoming. In the Equality State, driving without insurance constitutes a misdemeanor. Misdemeanors are, of course, criminal offenses. Furthermore, the penalties for driving without insurance increase with subsequent offenses. With a first offense comes a monetary fine of $250 to $750. Additionally, the convicted could be sentenced to up to six months in jail. Both jail time and a fine may be levied for the same, singular offense. Until proof of insurance is provided to the appropriate authority, driver’s license privileges are suspended. Even then, a $50 reinstatement fee is required. The driver’s insurance company must file a form SR-22 with the state’s Department of Motor Vehicles and do so for three years. A second offense also brings forth a fine and possible jail time along with the driver’s license suspension, reinstatement fee requirement, and three-year SR-22 filing. A few major differences exist. The fine ranges from $500 to $1,500, although the maximum amount of jail still remains six months. Also, registration is suspended adding more reinstatement responsibilities. The most common form of proof of insurance would be a printed document issued by the insurance provider. Driver’s commonly keep such cards in their glove compartment. Proof of insurance cards may be ordered from the insurance issuer. Those who do not wish to wait for the document to arrive in the mail can print one out online or request a fax. Wyoming is one of the states that does accept electric verification of insurance. Proof may be displayed on a mobile device. The state also maintains an online verification system the police can search 24 hours a day. $50,000 per accident when multiple people are hurt. Drivers should not uninsured/underinsured motorist coverage is not mandatory in Wyoming. Amazingly, statistics from 2012 show 8.7 percent of the drivers in Wyoming carry no insurance. While this figure is lower than the national average, it reflects a significant number of drivers. Those living in Wyoming may wish to purchase a solid amount of uninsured/underinsured motorist coverage to protect them financially if hit by such a driver. Carrying additional insurance in the form of comprehensive and/or collision adds further insurance protection. Buying an insurance policy in Wyoming isn’t all that difficult. Online searches for quality quotes can be done easily. Once you receive the quotes, review them carefully for both price and benefits. Drivers should feel confident about the all-important policy they purchase. Enter your zip code below to compare quotes for free today.